These Glitter Tea Lights are fun to make and can be adapted to any colour theme, see how to make them here and then have a go at creating different designs. We love the texture and sparkle of this card, super easy to make and it really catches the eye, see how we made it here. Feathers are very on-trend at the moment and these handmade paper feathers would look great on cards or gift-wrap, look out for more feather inspired projects soon. 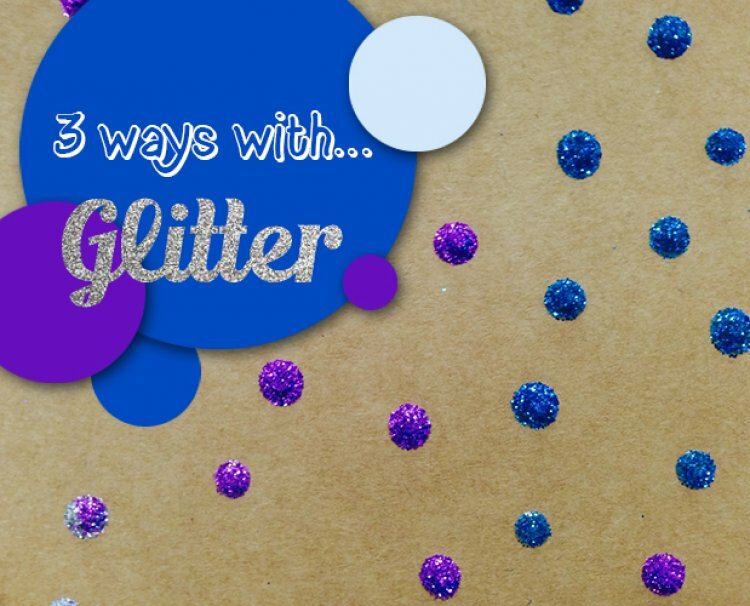 Do you like to craft with Glitter? What are your favourite projects to add glitter to? Let us know with a comment below.